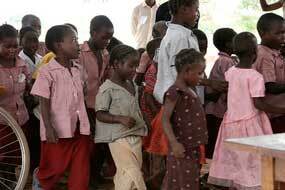 Children born and growing up in Zambia generally do not lead a very happy or fortunate life. From a very early age, they are destined to a constant struggle for their most elementary rights: to fight for the right to eat, sleep, go to school or even to simply survive and play is a luxury they can rarely afford. 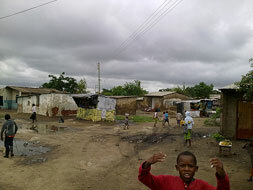 Zambia grapples with by far the world’s highest rate of poverty. 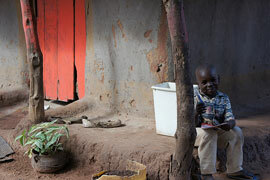 Indeed, it is estimated that 86% of the Zambian population lives below the poverty line. This economic situation leads to multiple harmful consequences in the lives of children, above all others. Rampant poverty obliges many parents to prevent their children from attending school in order that they may work full time to contribute financially towards the family’s support. It forms a formidable barrier to accessing adequate nutrition, proper health care, rudimentary education and decent housing, and denies leisure almost altogether. Zambia’s national sanitary indicators are extremely low. Average life expectancy is a mere 46 years: the second lowest in the world. The infant mortality rate is at a proportionately deplorable level as well. The lack of infrastructure, material and trained personnel are the principal causes of the disastrous state of Zambia’s health system. 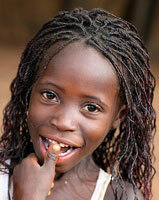 Thousands of children lack access to basic medical care. Further, the greater majority of Zambian homes languish in extremely unhealthy living conditions; and the absence of sanitation and ignorance of basic hygienic measures breed viral illnesses such as measles, which frequently lead to virulent epidemics. Despite recent national campaigns, vaccination and immunization efforts fail to protect most young Zambians. The education system in Zambia needs to make much more progress to even begin satisfying the needs of its children as a whole. Despite free access to school allowing a strong increase in enrollment, schooling is not compulsory; as a result, one in five children still do not attend school at all. Besides, the extra costs of schooling – such as study materials, uniforms and travel expenses – discourage many families from educating their children; and the all too common requirement that children become wage-earners to support their families’ welfare remains a constant constraint. Additionally, conditions in most schools are far from being ideal. The buildings are dilapidated, overcrowded and unsafe; sanitation is often absent; study materials are inadequate; the instructional systems are antiquated; and the teachers are not always qualified. What’s more, cases of corporal punishment, mistreatment and even sexual abuse are causes for serious concern. It’s estimated that more than a million Zambians are HIV positive, with around 95,000 of victims being below 14 years of age. The repercussions of HIV on the wellbeing of children aren’t confined only to their health; indeed, this plague has resulted in approximately 600,000 children being orphaned by AIDS-related parental deaths. These children are abandoned without resources or recourse to support systems, growing up with no prospects other than a dark and tragic future. 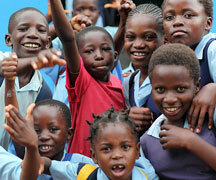 Over 40% of Zambian children are engaged in an economic activity. In 2009, the International Labor Organization estimated the number of working children to be in excess of 1.2 million. Uneducated, unskilled, lacking protection and subject to exploitation, these children undergo a miserable existence: long working hours in medieval accident-prone conditions, subsistence wages, dietary shortcomings, lack of shelter, etc. Moreover, besides exposure to the elements and disease, they are chronically vulnerable to dangers such as prostitution, discrimination, mistreatment, trafficking and substance abuse. Malnutrition of children has been somewhat contained in Zambia. However, though they do not suffer grave hunger, the diet of most Zambian children lacks the basic nutritional elements essential for healthy growth. These nutritional deficiencies adversely affect their immune systems and render them extremely vulnerable to illnesses. Furthermore, the poor nutrition of mothers has repercussions on their offspring, with more than 10% of newborns displaying insufficient birth weight: thus setting the stage for a lifetime of substandard health. According to recent polls, the number of children living on the streets of Zambia’s cities amounts to between 20,000 and 30,000. 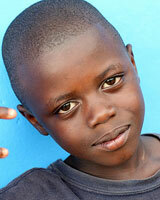 It’s also estimated that one in five Zambian children do not live with their parents. The life conditions of these children are drastically desperate, exposing them to all the dangers of the streets – which render them helpless victims of a host of abuses, including violence, trafficking, prostitution, alcoholism and drug addiction and exploitative labour. 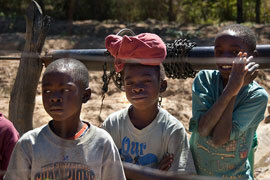 Children represent an astounding 10% of Zambia’s prison population. Many of them are of a tender age, it not being uncommon for infants below 4 years to be incarcerated with their mothers. The survival of these children is placed in serious jeopardy, especially since prisons do not extend them any special treatment. Thus, at the prevailing levels of nutrition, health care and space they are accorded, combined with an unsanitary environment, these innocent little Zambians are exposed to innumerable risks: with tragic – and often fatal – consequences. Since child prisoners are not separated from adult detainees, they are routinely tormented and victimized by the dreadful violence and depravity reigning in these overcrowded facilities. Deprived of even their most elementary rights, survivors of this brutalizing experience invariably grow up as utterly dehumanized individuals who, far from contributing to society, are a menace to law and order. More than two in five young girls – over 40% – are married before the age of 18. Child marriage often involve very young girls, well below the age of 16 (the legal age of marriage in Zambia); and the betrothal of barely pubescent girls is not uncommon. Though nominally illegal, these unions are largely tolerated by the country’s customs and traditions. This practice carries serious negative consequences in the emotional and psychological development of these young girls, who find themselves forced prematurely into traumatic sexual relations, not always consensual, and must transition abruptly from childhood to adulthood without the preparative phase of adolescence. These marriages are especially harmful to the youngest brides, who have absolutely no choice in the matter of their future husbands. In Zambia, only 14% of all births are officially declared to the authorities, primarily due to difficulty of access to public identity registration services; while the fee for registration and related expenses discourage most Zambian families – especially in rural areas – from making the effort. Unregistered children do not have an official identity or nationality, and enjoy none of the benefits of citizenship. This leads to very great difficulties in every sphere of endeavor and social interaction for such unregistered individuals, who are regarded as invisible – and inconsequential – in the eyes of society, suffering deprivation of even the most basic human rights.